By the Beijing Meng Zhou culture communication limited liability company investment shoot, by Qiao Pengyue, Zhang Ruoyun, Zhu Jie and other actors co-starring "dream boat trilogy" third "sword" (formerly "against"). 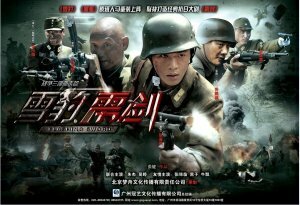 The drama truly restored the history of the New Fourth Army's anti-Japanese war in southern Anhui, and revolved around the historical events of the "anti-encirclement and suppression" of the Red Army. The autumn of 1938, the Japanese invaded the southern Anhui, intent to open the hinterland of central China.